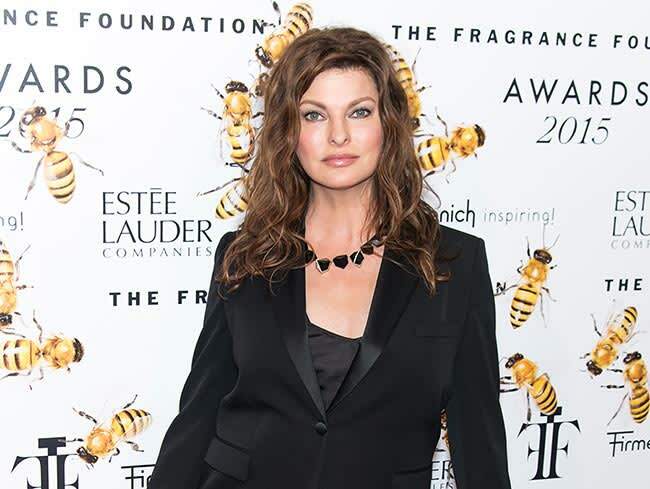 Linda Evangelista gives her opinion on the new generation of supermodels | HELLO! Linda Evangelista has nothing but praise for the next generation of supermodels. Joining the debate over whether social media stars including Kendall Jenner, Gigi Hadid and her sister Bella deserve their success, the model admitted they could teach her a thing or two. "They can give me advice," Linda told PeopleStyle at a recent event. "They're so fabulous, they've got the world in their hands. They're so aware and so in control – they're just so fabulous." She is not the only nineties supermodel to give the girls her seal of approval. Cindy Crawford is also a fan of fashion's new faces, saying: "To me when your name breaks out of just the fashion world and other people are aware of you, that is what 'supermodel' has come to mean." Likewise Amber Valetta, who said: "These girls are really smart and clever, and they figured out how to be brands." However Stephanie Seymour was forced to apologise after appearing to take aim at the models in an interview with Vanity Fair in June. The 48-year-old said they shouldn't be called supermodels, instead choosing to call them "b****** of the moment". Gigi Hadid and Kendall Jenner were described as "fabulous"
Kendall addressed Stephanie's comments with a post on her official app, asking how the retired supermodel would feel if her 11-year-old daughter Lily faced the same criticism. "I guarantee you that she didn't imagine someone so publicly shaming her daughter when she made those comments about us…" Kendall wrote. The Keeping Up with the Kardashians star argued that she and Gigi had worked hard to establish their modelling careers, and it didn't take anything away from Stephanie's success. "If people want to call Gigi and I supermodels now, it doesn't take anything away from supermodels of the past," Kendall reasoned. "Obviously I have so much respect for those women, but right now, we're the models of this time. Significant? Maybe. Hardworking? For sure."